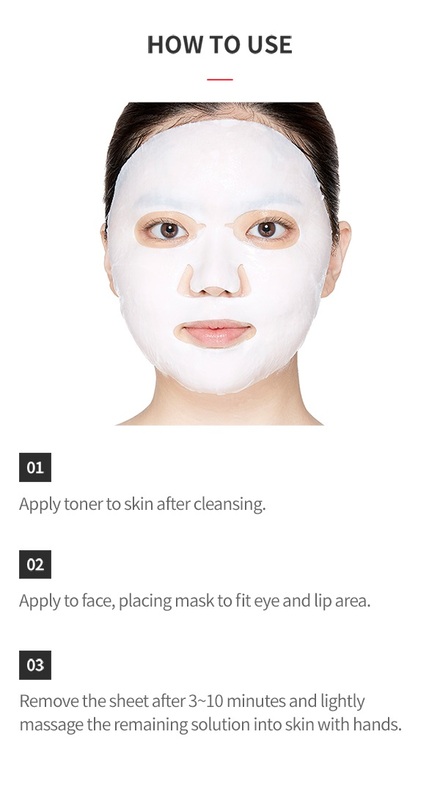 Just apply on the face! [3-Minutes Care Mask In The Morning] makes skin ready for quick makeup during busy morning hours. My face feels so moisturized and smooth and refreshed after using these! I love how you do not have to leave the mask on for very long. I agree it is a very good deal for the price. I am glad I bought these!!! These are my new favorite thing! I bought these since I wanted something quick to up my skincare game in the mornings, and I have fallen in love. When I read that you only have to use them for 3 minutes, I was a little bit skeptical. Could 3 minutes actually make a difference...Yes. yes it could. After using this for 3 minutes in the morning, I put on my moisturizer and sunscreen, then went to work. I do not have time for a long routine in the morning since I hit the snooze button a lot, so it is usually just three steps. My skin starts to get oily after a few hours, requiring me to blot with a tissue to keep the shine away. 3 minutes of this mask helped keep my face more hydrated for another 1 to 2 hours, meaning I did not have to go blot as quickly. I was definitely impressed. I also like using this mask at nighttime when I need some extra moisture, but do not want to lay around for 20 minutes with a sopping wet sheet on my face. During my nighttime routine, I will leave the mask on for 5 minutes for a bit more moisture. I was pleasantly surprised by the effects of these masks, and while they will not transform your skin and fix all of your problems, they are perfect for that extra dose of moisture that your skin needs. Oh, and 30 masks for under 20 dollars, yes! I will most definitely be repurchasing these when I run out.